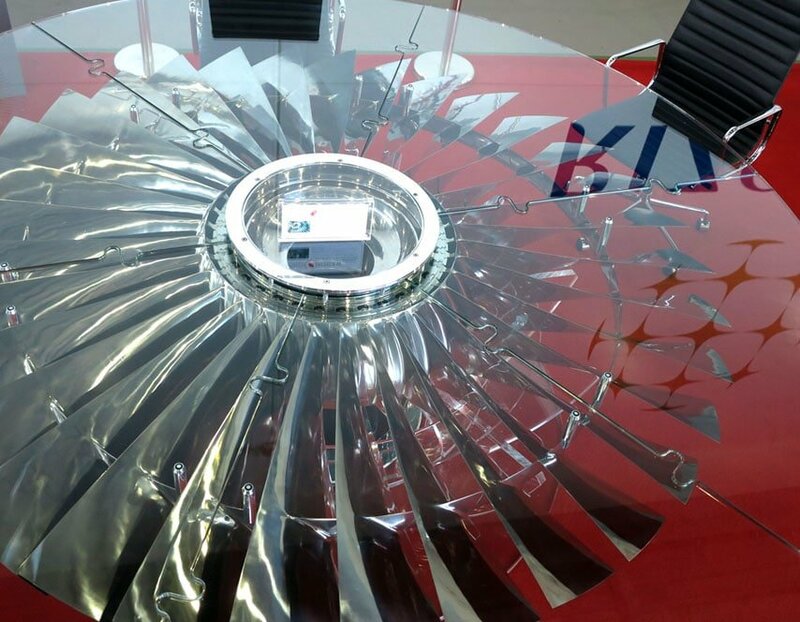 Absolutely beautiful dining/boardroom table with polished fan blades. Unique. 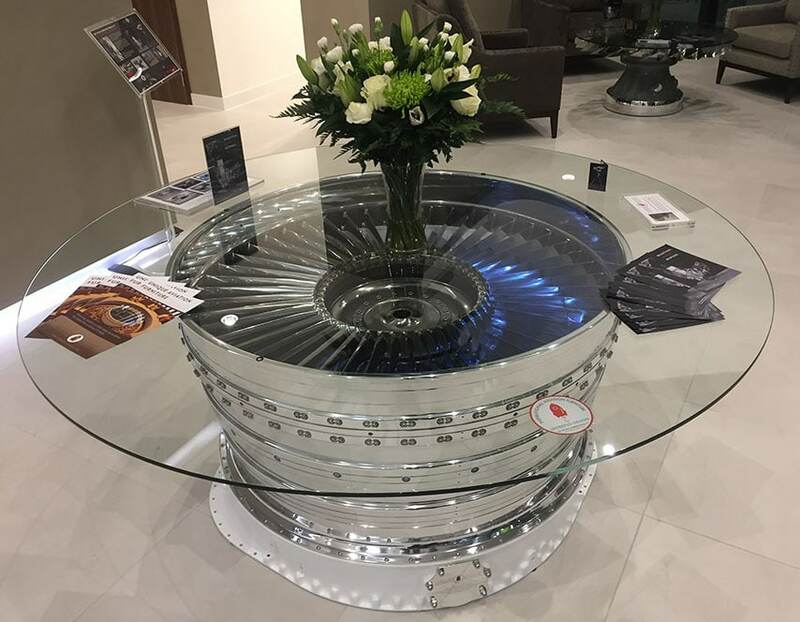 Absolutely beautiful boardroom table with 26 polished titanium blades. Unique. A very special table! 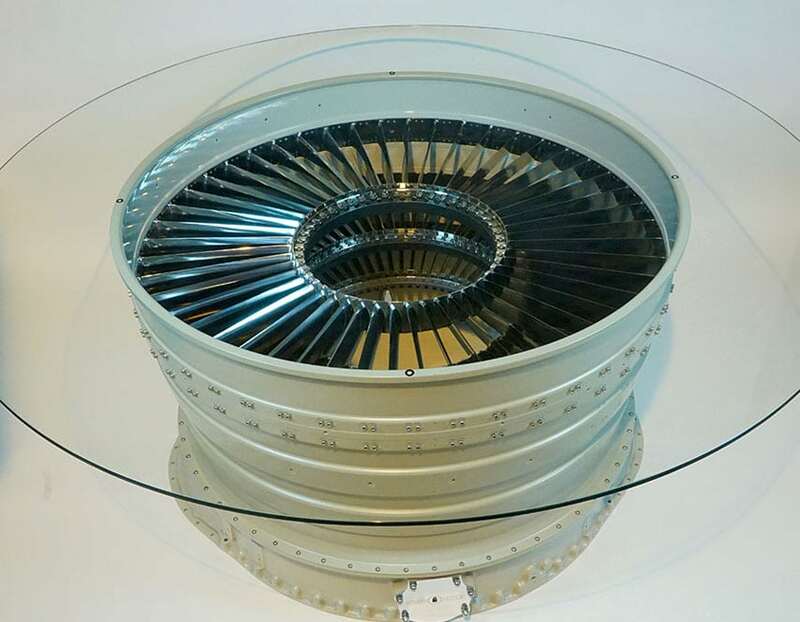 Pegasus Front LP Casing, on original harrier hub, with lights. 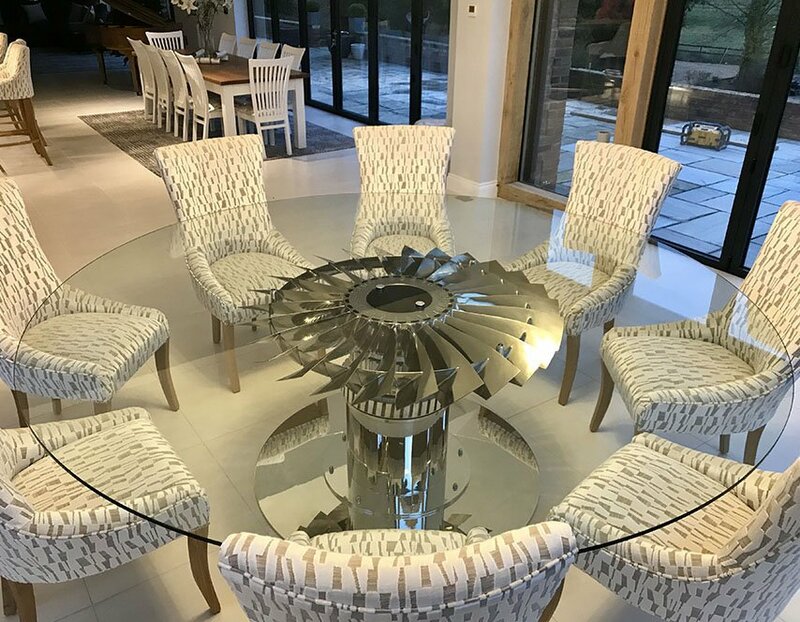 Stunning dining table with 3 sets of highly polished titanium stator blades, underneath 10mm toughened glass. 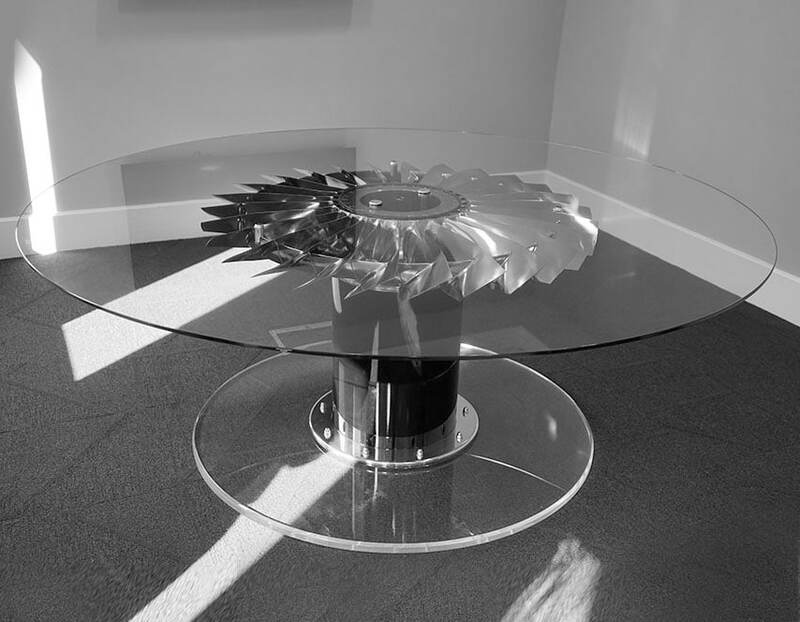 Absolutely beautiful boardroom table with 26 highly polished titanium blades.